Cormac is an award-winning architect and planner with more than 25 years’ experience in private sector and public procurement projects. 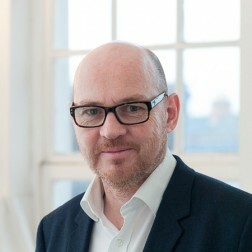 He has acted as Architect Director and Design Team Leader on a wide range of projects in the residential (social, affordable housing & private sector), education, conservation, commercial, hotels, sport & leisure and community sectors. Cormac has undertaken projects in Ireland, UK, USA and Spain. He is experienced in Contract Administration, Irish Public Works suite of contracts, Negotiations with Contractors, Site Inspections, Preparation & Issue of Certificates of Payment, Valuations for Interim Certificates and negotiations of Final Accounts, Opinions on Compliances etc. Since 2005 Cormac has been a member of the RIAI Examinations Board. He has undertaken the role of Assigned Certifier under BCAR 2014 on a number of building projects. MRIAI PG Dip. Proj. Mgmt. Dip. Arch. Tech. Criostóir graduated from DIT Bolton Street in 1994 before moving to Berlin where he gained valuable experience in the German retail and industrial sectors. On returning to Ireland he joined BKD Architects and worked on a wide variety of projects including Fatima Mansions Regeneration and the Crescent Shopping Centre extensions. From there he took on a senior role at Keogan Architects where he worked on Liebeskinds ‘17-Turns’ pavilion and Irish Medicines Board fit-out. Criostóir is an RIAI Registered Architect, with further qualifications in Project Management & Technology, and is an RIAI-Accredited Accessibility Auditor. He has responsibility for developing practice management structures, setting up in-house quality control systems to ensure compliance with statutory requirements, and is the BC(A)R file-keeper for our on-site projects, ensuring obligations are adhered to and that the correct certification is on file to enable successful completion of the BCMS process. 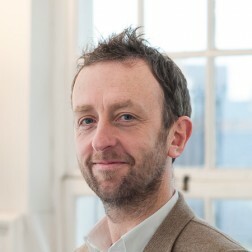 Kevin graduated with a degree in Architecture from LJMU in 1995 and moved to London where he worked on conservation and refurbishment residential projects with Peter Tigg Partnership, before returning to complete his RIBA Part II studies in Strathclyde University in 1998. Moving to Dublin in 2000 he joined BKD Architects and was involved in projects varying in scale from the Aghadoe Heights Hotel extension, to Dundrum Shopping Centre and Athlone Institute of Technology’s campus master-plan. Subsequently he worked on the Eircom Building in Dublin for Reddy Architects as well as major office, retail and residential developments for OMS. 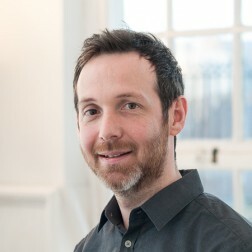 He joined Delahunty & Harley as Senior Architect in 2007, before moving to a similar role with QBB in 2012. Kevin is an RIAI Registered Architect and has particular expertise in the design and execution of Department of Education projects as well as 3D modelling. A graduate of the Honours Degree programme in Architectural Technology, Milo is developing an expertise in technical specification writing, and has responsibility for preparation of drawing packages for the practice from planning stage thru’ to tender & construction. 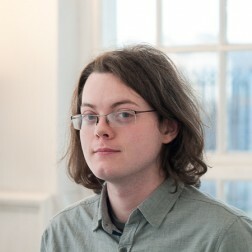 Milo also possesses skills with design tools such as BIM (Building Information Modelling) & Thermal Analysis software, and has a particular interest and skill in the preparation of Fire Safety Certificate applications. 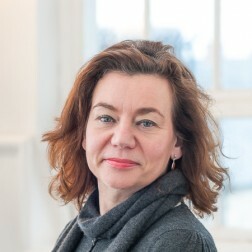 Helen has worked in senior administrative roles at the Guardian Newspaper (London) and the Arts Council (UK).